Keeping windows clean is a never-ending chore. 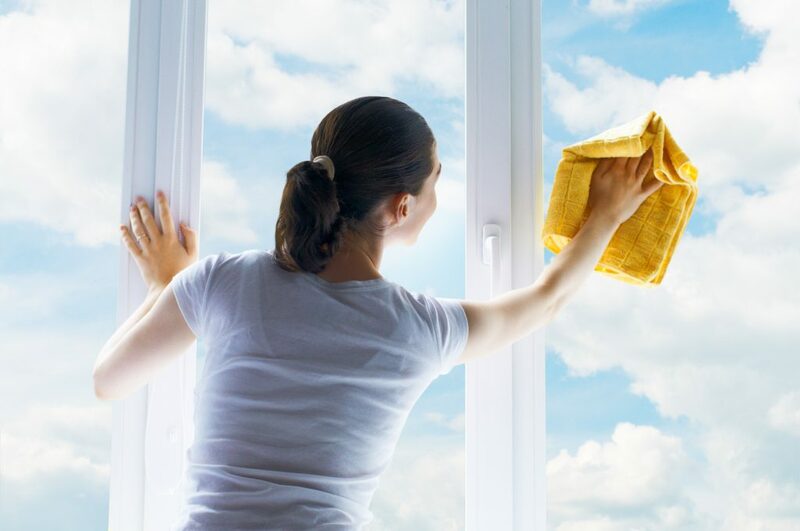 Nearly everybody has had the experience of cleaning all the windows in their home — inside and out — right before a big rainstorm comes and wipes out all their hard work. But the frequency of window cleaning isn’t the only reason you should leave the task of keeping your windows always looking their best to the professionals at Posh Home. Here are some other important reasons. If there are a lot of windows in your home and you don’t clean windows all the time for a living, you can expect the task to take you at least an hour, or perhaps several hours. At Posh Home, our expert windows cleaners can get your windows clean (no offense, but cleaner than you can get them) in a fraction of that amount of time. Cleaning your windows properly requires the use of the best cleaning products and the safest equipment. Buying all that can quickly add up. So if you don’t clean your windows regularly, investing in professional-grade window cleaning gear may not be the wisest investment. At Posh Home, we already have everything we need to keep your windows looking their sparkling best all the time. Cleaning exterior windows or interior windows that are high up can be potentially dangerous. Using ladders, poles, and other equipment also can result in injury or worse, especially if you are not trained or experienced in how to properly use this type of gear. Don’t put your health at risk just for a few clean windows. Instead, leave it to the expert window cleaners at Posh Home. We will keep your windows looking their absolute best all the time so you never have to worry.